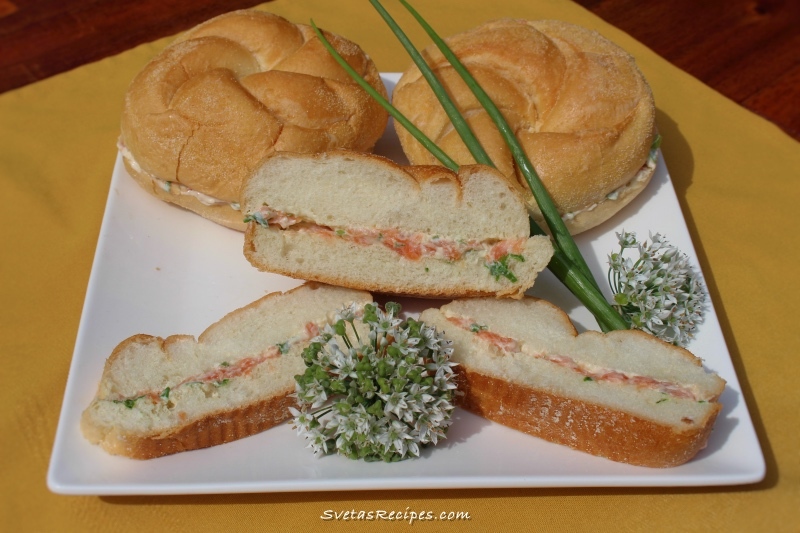 This sandwich taste great and is fast to make for a quick beach trip, you can hold them plastic wrapped in a fridge for quite a while too! 1.) 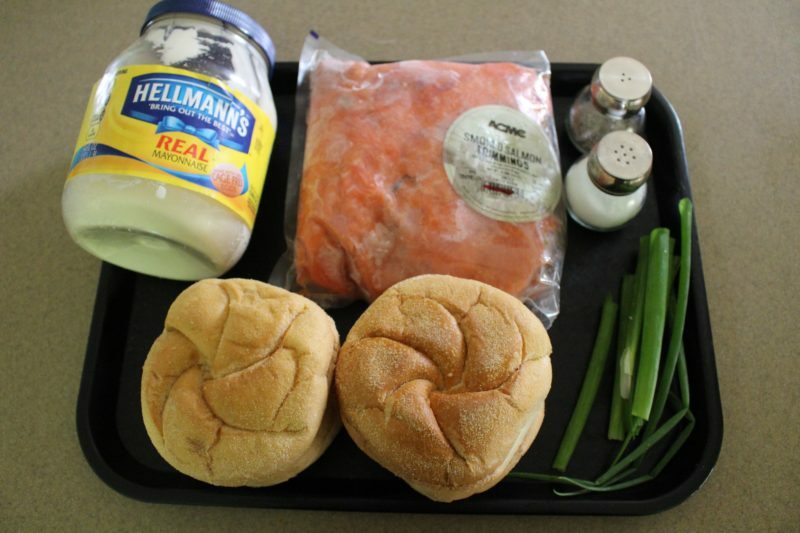 In a large bowl add your mayonnaise, sliced onions, cubed salmon, seasoning and mix well with an electric hand mixer. 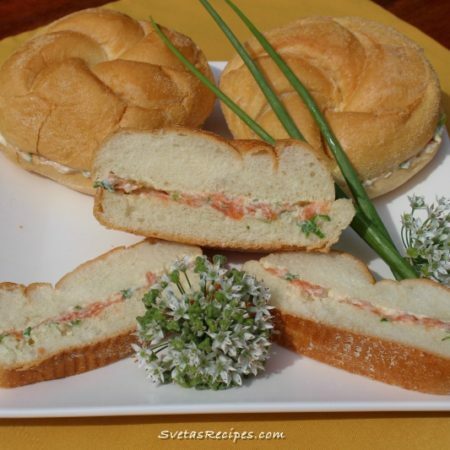 Open your buns and add your mixture to the top. After spread it and close your buns. Its as simple as that! 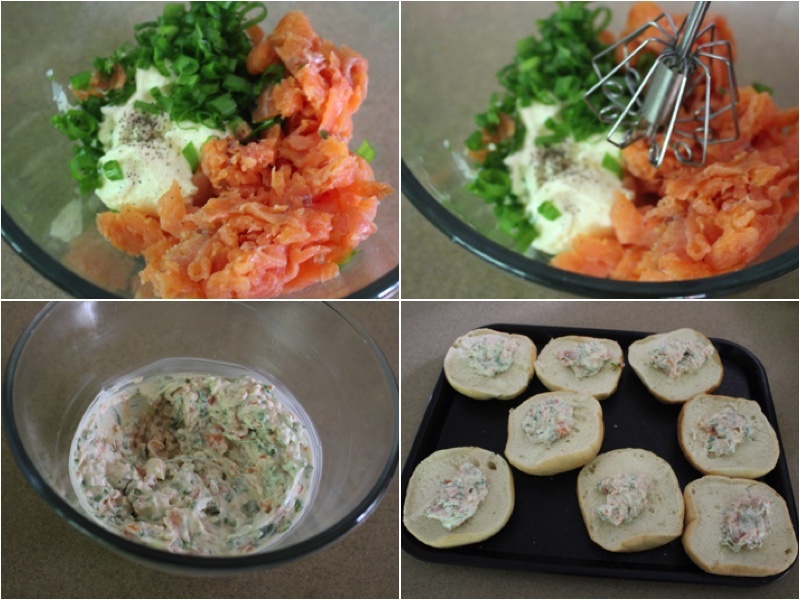 In a large bowl add your mayonnaise, onions, salmon, seasoning and mix well with an electric hand mixer. Open your buns and add your mixture to the top. After spread it and close your buns. Its as simple as that!